To begin…let’s make an analogy. Your shiny new website is like a shiny new car. Upon launch it’s flawless. You sit and stare at it for hours, much the same way a new car owner will sit and admire their new ride. However, once you drive the car off the lot, the maintenance cycle begins; car washes, oil changes, tune-ups…you get the idea. Your website, while shiny and new, will require similar maintenance. It’s important to make content updates to keep it fresh and new, update WordPress with each new iteration, keep themes and plugin files up to date, etc. If you fail to address these routine maintenance checkups on your car (or your website) you are bound to break down. Think about all of the time (and money) you have put into your website to get it “just right”. Creating the perfect design, writing engaging content and including all of the necessary functionality. To ensure your website’s security, and optimal performance, it is necessary to update your WordPress framework and files frequently. Below are three reasons why you need to keep your WordPress website updated. 74,652,825 sites on the web are built using WordPress. For those counting at home….that’s one site per person in Turkey. That is quite a few sites. Besides the immediate advantages to using WordPress, it is trusted as the most robust Content Management System (CMS) on the block. However, neglecting important updates can leave your site open to a wide range of attacks ranging from advertisements being injected into the site to malicious malware taking over your server leaving your entire site down and inaccessible or worse yet, completely different and filled with someone’s else’s content. Almost, every time, the issue with a hacked site is that it wasn’t running the latest version of WordPress or a plugin was out of date. Each outdated theme, plugin, or WordPress core file that is out of date, is a chink in your site’s armor and opportunity for a hacker. Not only is updating your website good for it’s overall health, it also has a number of performance advantages as well. For starters, cleaner, more semantic code makes your webpage run faster and more reliably. Also, in many of the WordPress core updates, there is new functionality introduced such as widgets, user enhancements, and editor updates. The same is true for plugins and theme updates. Keeping those files up to date is not only necessary from a security perspective but also in allowing your the opportunity to take full advantage of what each plugin or theme has to offer you in terms of functionality. This will ultimately, help you to keep your site visitors engaged and on your site longer. 3. Compatibility, Features & Bugs. If it’s been a while since you last updated your WordPress website, chances are something is not working “quite right”. If your lucky, it’s something insignificant that you won’t even notice but on the flip side, it could cause compatibility issues between your site files. You may find that a plugin stops working or even deactivates itself. It could also cause conflicts between plugins. Recently, there was an update to WooCommerce that caused Advanced Custom Fields to have to patch their plugin due to a compatibility issue with variable products. Think about it…with all of the files on your site running side-by-side, eventually something is going to conflict with something else. The answer…update your website regularly. Aside from security and compatibility, you could be missing out on awesome new features. Most of the time, plugin updates are small and for security purposes but other times, it a bigger update that introduces new functionality and features. Wouldn’t you want to know what those features are and use them on your site? Lastly…bugs. I’m not talking about a few ants at your picnic. Bugs in your website files could cause a variety of issues from things not working quite right to your site locking up which is also known as “The White Screen of Death“. After reading this post, I hope that you learned something useful about WordPress updates and their importance in keeping your website running smooth. How often should you update your WordPress website? Everyday…well maybe not everyday but definitely as soon as you see that there is an update. The problem arises however that you aren’t on your website everyday, possibly not even every week or month. In that case, it’s much more practical to pass along the job of your site updates to a professional. From security measures to ensuring the best features and protection from bugs, website updates must be performed regularly. 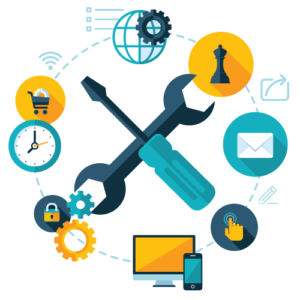 If you have any questions, or you’d like to get started with a WordPress website maintenance plan, drop me a line today. Designs 4 The Web provides WordPress website services to a number of Southern Connecticut town including: Stamford, Darien, New Canaan, Wilton, Norwalk, Weston, Easton, Westport, Fairfield, Trumbull, Bridgeport, Shelton, Stratford, Ridgefield, Redding, Danbury, Bethel, Brookfield, Newtown, New Fairfield, Milford, Orange, West Haven, New Haven, East Haven, Branford, Guilford, Madison, North Branford, North Haven, Derby, Ansonia, Seymour, Woodbridge, Hamden, Bethany, Oxford, Beacon Falls, Naugatuck, Southbury, Middlebury, Waterbury, Wolcott, Prospect, Wallingford, Cheshire, and Meriden.